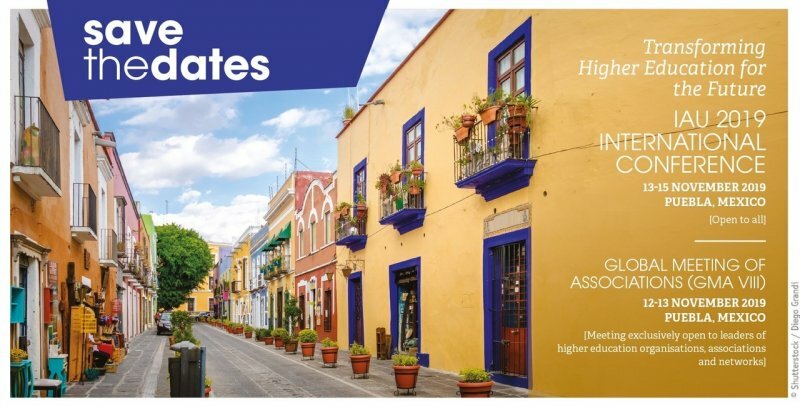 The Benemérita Universidad Autónoma de Puebla (BUAP) (Meritorious Autonomous University of Puebla) is co-organising the IAU 2019 International Conference which will take place from 13-15 November 2018 in Puebla, Mexico. The conference is dedicated to ‘Transforming Higher Education for the Future’. At the time of rapid technological, social, economic and political changes worldwide, IAU believes that it is important to rethink the future of higher education and find viable ways of moving forward for all. The conference will be an opportunity for Members, partners and the wider higher education community to come together and exchange ideas, reflect on the most pressing questions, reconnect and form new partnerships. The full programme and the conference website will become available in April 2019.